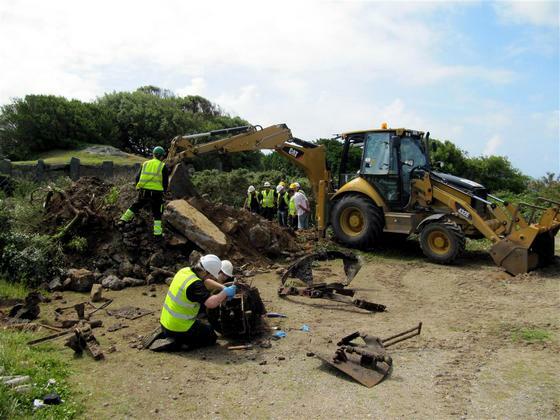 Festung Guernsey has completed another very successful dig at Stp. Langenberg. This time we were at the Type 633 M19 bunker to see what was buried in the extensively damaged turret room. Once all of the backfill and blown up concrete had been removed we were pleasantly surprised with large parts of the turret floor, chunks of the turret and a large section of original equipment from between the two floors in the turret room. Inside some of the original storage racks were still in good condition.